Picture this. I put a blindfold on you and transport you somewhere and then I take it off. I then ask you to take a guess where you are. With the blindfold off you can see there are lights flashing, many cars and traffic congestion, masses of construction signs, there are many small businesses and stores, and different types of people from all walks of life are bustling around you. If you were listening you will immediately notice there is an outright absence of silence. Where are you? If you said “New York City,” you win! You get a gold star from the piano teacher. The “city that never sleeps” isn’t just one that doesn’t sleep. This is also the city that never shuts up. Like a 4 year old curious with wonder and many questions to ask, NYC cannot be described as “quiet.” That word will likely NEVER be used or be seen in rental ads placed here. There are a multitude of constant noises that make complete silence almost impossible. Such as the screeching of cabs, the roaring of the subway and the sounds that the piano and keyboard players make that can be faintly heard beneath the sidewalks. The cluck-cluck of traffic lights as they change from green to yellow to red, and the tap-tap signal clicks of the don’t walk sign. You can hear the clickety-clack of high heels on the streets of 5th Avenue, 42nd Street, 34th Street and possibly the stomp-stomp of heavy boots. As street dancers try to make their living you can also hear the sound of the small radios that enliven each performance. The many animals and pigeons make their own music here as well as the night time singing rats. Oh, you don’t know about them? Well, there’s always the unsteady clack-clack of the horses’ hooves traveling uptown and downtown. Our many busses have their own strange deep toned “ba-rump” noises. The sounds of machines are also everywhere. Sewing machines, cash registers and welding machine sounds abound. Our boats and boating rigs all along the Hudson create their own strange type of low, loud droning type sounds. The crunching sound of the cardboard boxes, the beeps of garbage trucks, random electronics sounds, and even the quieter, but persistent whirr of the elevators taking us to unknown delights and places in the sky. Construction work sounds seem to go on endlessly as New York City is ever growing, ever-changing and ever noise filled. Like a piano playing a pianissimo spiraling up to a fortississimo you can hear sounds of the sirens of police cars and ambulances every 20 minutes near and far in the distance. Manhattan is world-famous for the honking and screeching of our brakes in the stop-and-go of traffic which many a movie has exhibited, the thud-dud sounds of car tires heading over potholes, and for yelling from cabs and sometimes yelling for the cabs. We can hear the call of merchants invitations to examine their wares to passerby’s in the flea markets, the music playing in our bars sneaking out through slightly ajar doors, and at night we have (mostly muted) sound blasting out of our nightclubs. Cell phone conversations of more than ten people in likely more than four languages can be heard within a block radius. The many languages that are spoken here can be heard absolutely anywhere you go in Manhattan, and these conversations all go on simultaneous to all the other sounds around us. Really, it’s all sound and when put together expertly; sounds become music. All this sound together is a kind of music. New York City IS literally music. This place is teeming with sound and it creates a cacophony that is like a frenetic song possibly named, “We Are Alive.” The symphony of busy human life. The symphony of going after your dreams. The symphony of the hustle. The symphony of seeking after happiness. The symphony of learning new lessons. The symphony of just getting by while paying ones dues. The symphony of the struggle. The symphony of anything goes where the money flows. The symphony of “if you can make it there..” well, you have your start. You can begin your lesson. You are here. You are in NYC. If you love music, there’s no better place to be than NYC. As the home to countless venerated concert halls, bars and clubs that host both superstars and rising stars every night of the week, music is everywhere and makes up the fabric of this city. Holding it together like a diverse tapestry of life and sound in action. It has a long history being a thriving metropolis for genres such as Jazz, Rock, the Blues, as well as Classical and Art music. In the 70’s, it was the musical base for New Yorkers such as Lou Reed, Patti Smith, New York Dolls and more. In the 80’s it was the home of the greatest stars in early Rap/Hip-hop Kool Herc, Run DMC, and Salt-n-Pepa. In the 90’s it was the home of The Strokes, Interpol and Madonna and more. 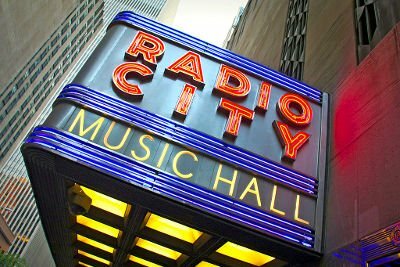 NYC’s legacy continues to this very moment with current chart toppers, The Chainsmokers, Classical composer Rand Steiger, and Jazz bands The Hot Sardines and Mary Halvorson Trio. Mary Halvorson, Evan “Bibs” Palazzo, and Rand Steiger all had music lessons. Without having an understanding of the classical piano technique, it is very difficult to learn and acquire other piano styles as most music has stemmed from the classical style. It is imperative for one to find a piano teacher to assist with this. When a love for music meets a teacher and the student engages in study and practice, it then becomes technical perfection that really allows the creator to create any mood using sound! If you are a budding musician living in Manhattan, such as the early creators of hip hop, freestyle, bebop, disco, punk rock, and new wave, then you probably already know the importance of honing your craft and taking music lessons. However, it bears repeating and reminding. If you are interested in music and learning about sound we can help to you find a teacher to fit your needs as our professional piano and guitar teachers are in plentiful supply. Whoever you are and whatever your music or piano playing goals are, at Kathryn Brickell Music we can excitedly help you to achieve them with our tailored lesson plans. You too can join in the music that IS New York City. Founded in 1985, Kathryn Brickell Music offers quality private music lessons to students in the N.Y. Metro area including Nassau, Suffolk, Manhattan, Brooklyn and Queens. Our carefully chosen local music teachers received training in the country’s finest music schools and are also currently active musicians. Over 25 years of ethical practices and success make us one of the countries’ best established and therefore experienced music lesson companies. We offer music lessons by highly qualified music teachers on all instruments in the privacy and convenience of your home or in our local studios for students aged 3 to adult. In our music lessons we embrace both the new music on today’s popular charts as well as the traditional classical music of the past. We invite you to find lifelong inspiration, peace and joy through music! Contact us today to find out more (800) 285-5732.